Giant 4 is the blow up version of the classic table-top Connect 4 game. 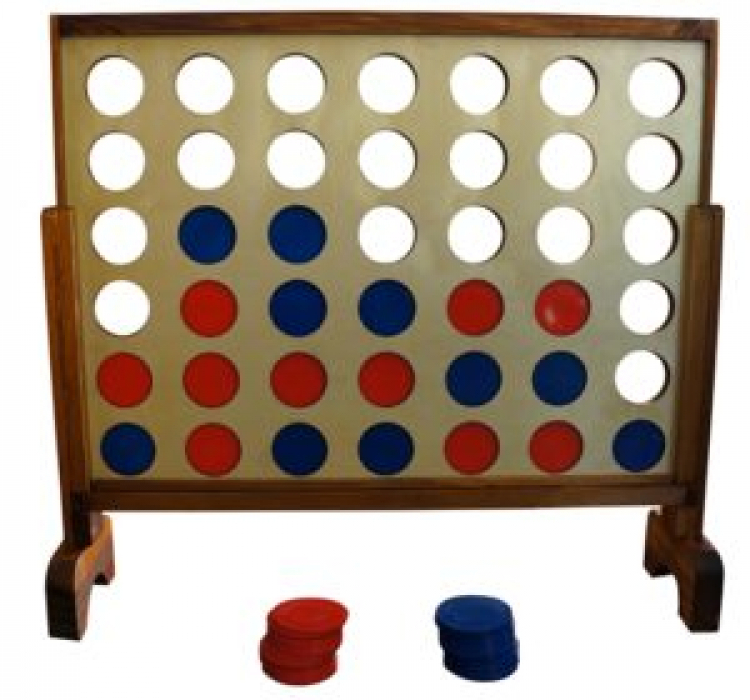 This giant game, however, can be played on the floor indoors or out in the yard! Board measures approximately 3 feet wide by 2 feet tall. The coins are a 3″ diameter. Two players (or teams) drop coins in from the top of the board alternating turns trying to get 4 in a row. To win you or your team must be the first to join 4 of your color coins in a row either horizontally, vertically, or diagonally! Simply slide out the wooden bottom bar when finished to release the coins. Store the coins in the game when finished playing. 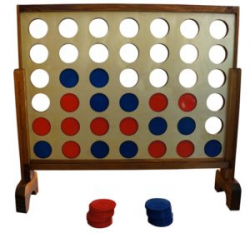 This wooden game is perfect for parties, BBQs, tailgating, group events, family gatherings, and much more! Comes with instructions and rules for playing.